Fields and courts throughout Australia are filled with children and adults engaging in a variety of contact sports. These include cricket, footy, basketball, netball, basketball and soccer. While these sports are fast-paced and exciting, participation in them can cause a range of dental and orofacial injuries. These include broken or knocked-out teeth, a fractured jaw, smashed lips and damage to the tongue. When injuries occur, they can often result in costly dental treatment over a lengthy period of time to restore the health and strength of the teeth that were damaged. The Australian Dental Association highly recommends wearing a mouthguard while engaging in contact sports or activities. After all, prevention is always better than a cure. As opposed to over-the-counter mouthguards, our highly durable mouthguards are custom-fitted to ensure outstanding protection. They also come in many different colours so you can choose ones to match your sports team. Another significant benefit of a custom-fitted mouthguard is that it allows you to speak and breathe easily. First, we’ll take impressions of you or your child’s mouth, including the upper jaw, to fabricate a mouthguard with a snug fit. We’ll forward the impressions to our local dental laboratory. There, a highly experienced technician will custom-create your mouthguard. Please note that it may be necessary to replace the mouthguard over time. That’s often the case as it becomes worn. Not sure if you or your child requires a new one? Just bring it to your bi-yearly checkup, and one of our dentists will examine it for you. Aren’t over-the-counter mouthguards good enough? The Australian Dental Association recommends custom-fitted mouthguards as being crucial for the proper protection of your children’s teeth. Because boil-and-bite mouthguards aren’t custom-fitted, they can put your child’s teeth at higher risk than not wearing a mouthguard at all. These over-the-counter mouthguards are also usually uncomfortable and don’t fit well. A poorly fitting mouthguard tends to shift in the mouth rather than staying in the correct position. This movement can be risky in impact situations involving the face or head. 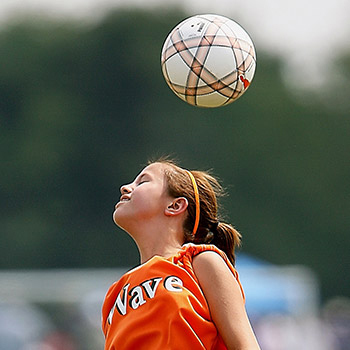 These often take place in sports such as football when mouthguards are being worn. How often should I get a new mouthguard? Your dentist will examine your child’s mouthguard during their regular checkups to ensure it still fits properly. As your child’s mouth develops, it may need to be adjusted or replaced. It’s critical that all mouthguards be evaluated each year to ensure ongoing proper fit. My child’s teeth are changing. Should I get a custom-fitted mouthguard? Yes. It’s crucial to safeguard your child’s baby (primary) teeth as they play an essential role in how the adult teeth develop. The primary teeth reserve space for the adult teeth and help direct them into their proper position. Your child will most likely require a new sports mouthguard each year until they are approximately 16 to 18 years of age. What should I do if I lose my mouthguard? Contact our practice, and one of our team members will be able to assist you. As the impression we take only can be used once, we will need to take another impression for the new mouthguard. Book a mouthguard impression appointment today!